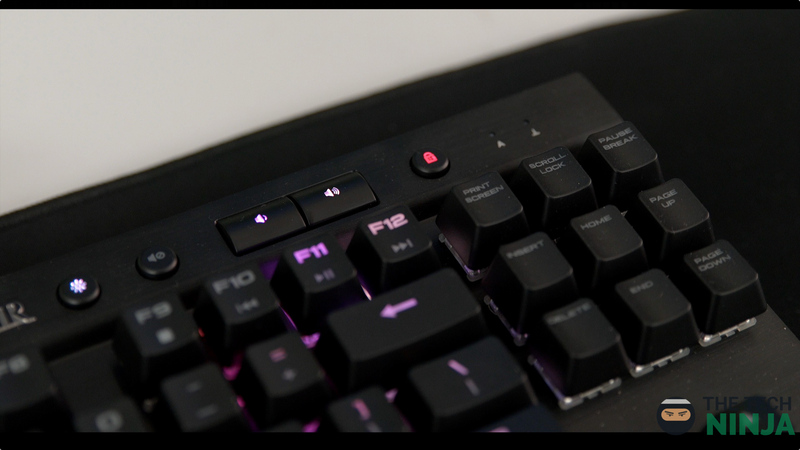 Corsair unveiled their brand new K65 RGB Rapidfire Compact keyboard at PAX 2016. 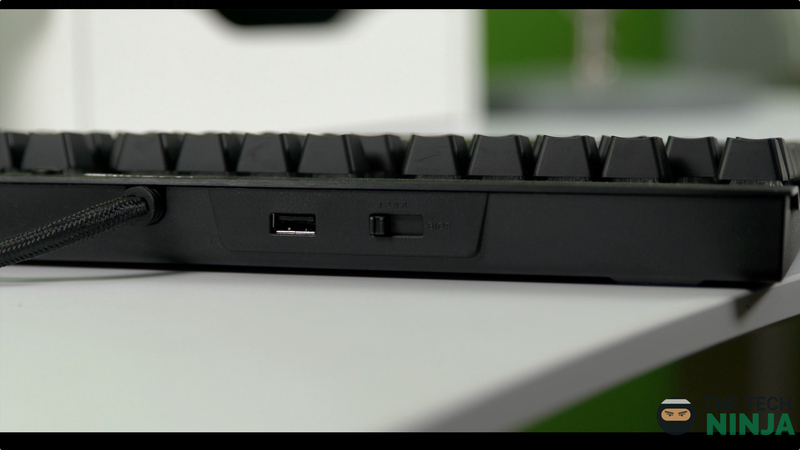 With this, the company looks to combine their prowess in mechanical gaming keyboards with portability. In terms of looks, the keyboard resembles any other staple Corsair keyboard with the keys built on top of a forged aluminium frame providing stability and minimal movement during gaming sessions. 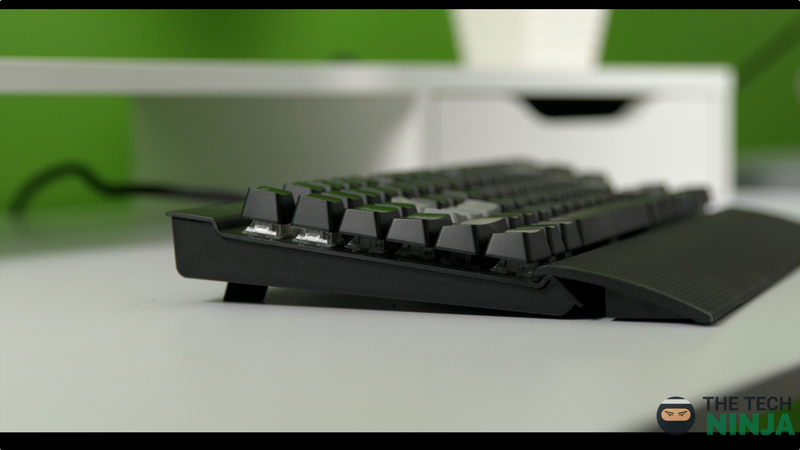 The detachable soft wrist rest and the mini-feet at the bottom of the keyboard also maintain comfort levels during extended sessions. Even though the keyboard is smaller for better travel and lacks a number pad, it features full media controls at the top right near the status indicators. The K65 connects to a computer via two USB ports just like any other RGB keyboard, with one used to power the LED lights. It features a USB pass through as well to connect a headset, microphone or wireless dongle quickly. 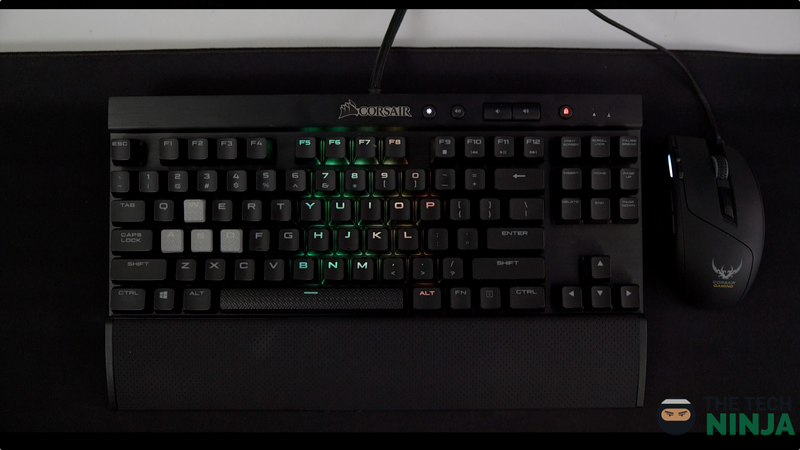 Each LED color can also be customized to user preference as the keyboard uses CUE (Corsair Utility Engine) software however most of the preset profiles for the keyboard via the software do not function right now due to how new the keyboard is. However, the stand out feature for the keyboard has to be the Cherry MX Speed switches. These feature a very low actuating distance of 1.2mm which means less force is required for any key to engage. This is a large benefit especially for gaming as it effectively results in a cut down of time to press any key which could be a matter of life or death in a very fast paced game. In technical terms, these switches require 45g of pressure to engage making them 40% faster than Cherry MX Red switches. Corsair also includes key-cap sets from FPS and MOBA adding texture and grip to keys in order to make them easier to find when not looking. With the benefits presented, these keys are great for gaming purposes however they’re not so ideal for sloppy typists who may be prone to making spelling mistakes. The K65 Mechanical Gaming Keyboard from Corsair further improves their lineup and stamps their authority in this market. Its portability and switches make for a great experience for the average consumer as well as those that are into FPS gaming. With the implementation of color profiles not so far off, this keyboard may become one of the best for gaming and you can check it out here for $150 or at your local retailer.